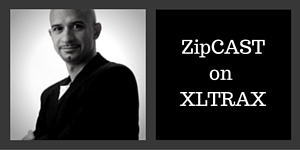 Every Friday night at 12 am eastern standard time catch the ZipCast xltrax show on the Xltrax Mainstation. The show is presented by Nick Fiorucci, an internationally dance music DJ, highly successful producer, remixer, and co-owner of zipDJ DJ pool and music distribution service, as well head of Canada’s premier dance music label Hi-Bias Records. About Nick Fiorucci - 13 Juno Award nominations and one victory. - 1999, he was inducted into the CanDance Hall of Fame. The Hall, dedicated to the pioneers and builders of Canadian Dance music, declared Hi-Bias to be recognized as Canada’s most successful Dance Indie. - As a DJ he has headlined some of the world’s most notable clubs/venues including: Ministry Of Sound, Hacienda, Guvernment, Heaven, Rogers Centre and more.. - International credits include: Stonebridge, Britney Spears, TLC, Eiffel 65, Brandy, Laura Pausini, ATB, Masters at Work, M-People, Single Gun Theory, Kristine W, Urban Cookie Collective, and many more.